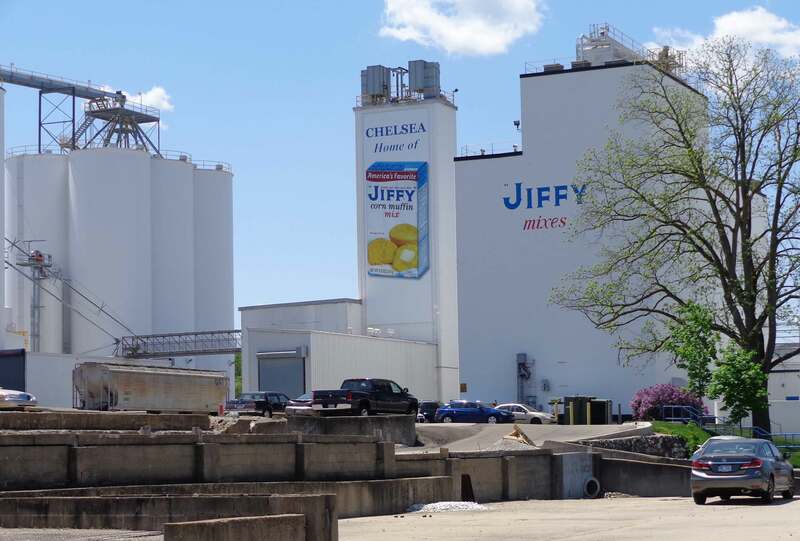 Michigan has a surprising number of connections to the story of corn, but it is also a fun place to explore for other discoveries, old and new. A couple of destinations were connected to my research for my book, Midwest Maize. Not too surprisingly, I wanted to visit the birthplace of corn flakes: the Sanitarium created by Dr. John Kellogg in Battle Creek, MI. I knew that the Sanitarium was hugely popular in its day, but even knowing that, I was surprised by its grandeur. 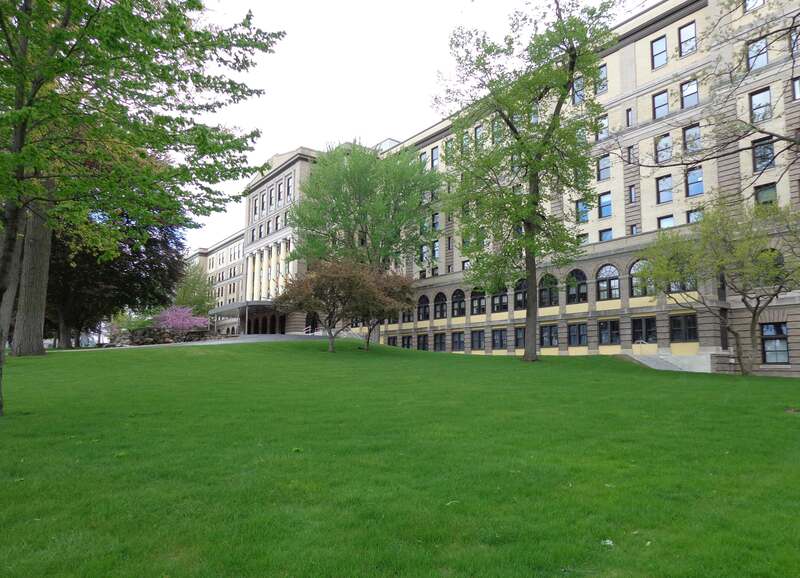 Still, it doesn’t really suggest the impact Dr. Kellogg had on the world and how it eats breakfast, but his focus on cold cereal, aided by an economic downturn, convinced much of the world to switch from hot, cooked breakfasts of meat and eggs to a bowl of crispy flakes with milk. 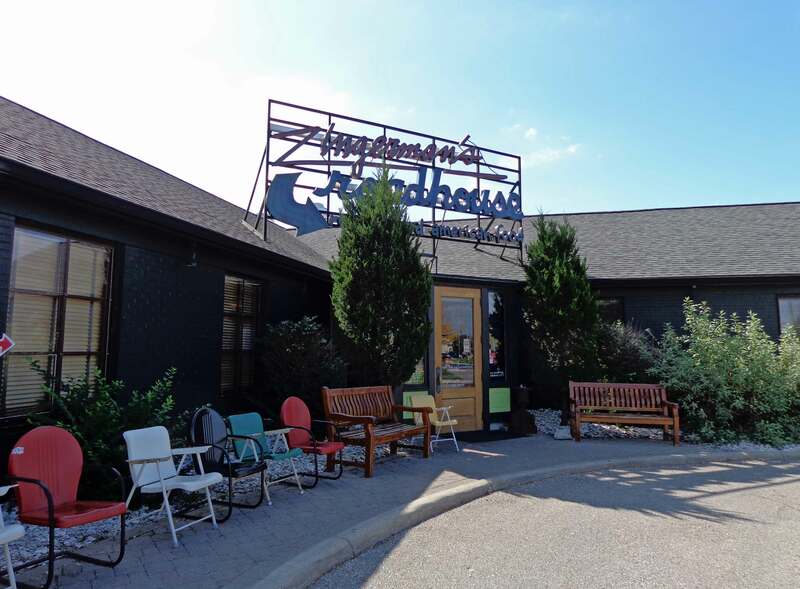 Not connected to my book research, but definitely connected to food and a favored destination most of the times I crossed Michigan is Zingerman’s in Ann Arbor. I’ve enjoyed the deli, the bakery, the creamery, and the coffee roastery, which are all part of Zingerman’s sprawling universe of exceptional food, but the place I saw most often was Zingerman’s Roadhouse, where the fried green tomatoes and ancho beef chuck chili bordered on addictions, though I did enjoy several other splendid dishes over the years (grits are amazing, and anything from their smokehouse is worthwhile). Finally, I think it’s always worthwhile to hunt up venerable, family-run businesses in small, old towns anywhere I travel. 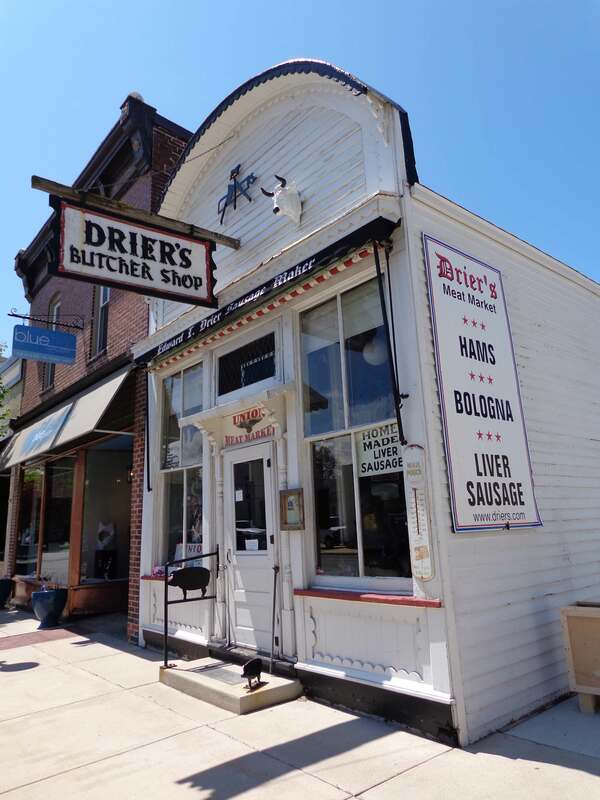 To that end, I have on a number of occasions pulled off the highway at Three Oaks, MI, to visit Drier’s Meat Market. Drier’s, a National Historic Site that still has a Drier behind the counter, might be said to have somewhat oblique connection to corn: corn was and is fed to pigs, and pigs are a major part of what they work with at Drier’s. Beautiful hams and sausages are produced according to old, family recipes and are smoked in the century-old smokers on site. If you never try anything else, the ham salad is worth the detour. So if you find yourself driving across the Midwest—or anywhere else—do get off the highway occasionally. There are some wonderful things to see, wherever you’re going.